Kings point guard Darren Collison was arrested yesterday afternoon in Granite Bay, a Sacramento suburb, after a woman called the police at 1 a.m. Monday morning to report that she was being assaulted. Deputies found that the woman had visible injuries and they arrested Darren Collison, 29, on a charge of domestic violence. He was booked at the Placer County Jail in Auburn. He was additionally booked for two misdemeanor warrants, totaling $7,500, for driving on a suspended license. He was released from jail at 9 a.m. Monday. His bail was $55,000. 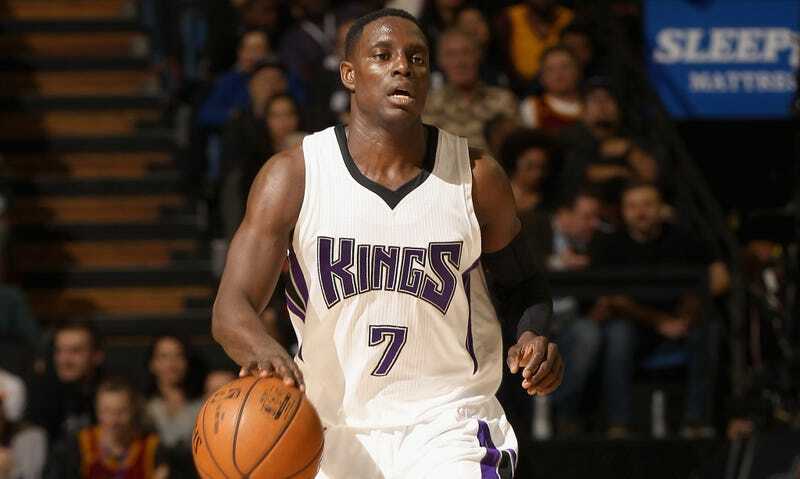 Collison is heading into the last year of his contract with the Kings. We’ll update this post if more information becomes immediately available.